"Freelancers, listen up. How many of you know how to legally establish a business, set a fair rate for yourself, get your taxes right, and invest smartly in a retirement plan? Where to turn for info? While The Internet has lots of freelancing advice, most of it tends to be scattered and, often times, unreliable. It’s tough to find everything you need in one place, which is what inspired us to create a one-stop guide for freelancers, covering everything from business structures, to getting good gigs, to taxes, to long-term savings, and much more." 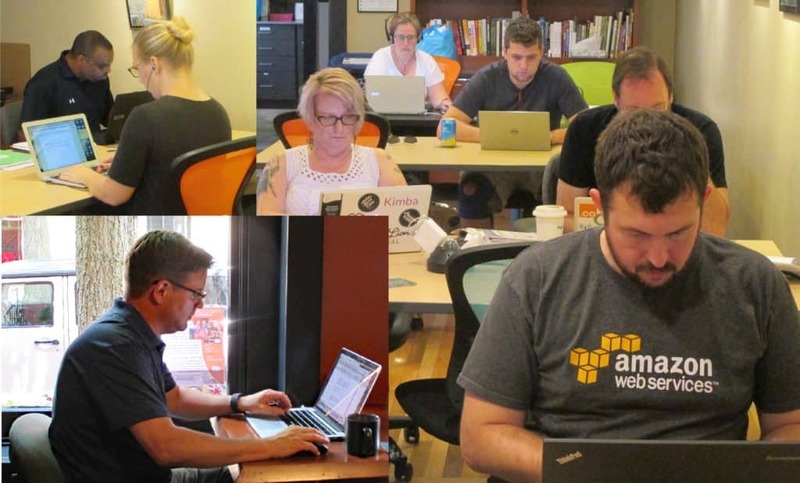 In addition to being part of groups like the Freelancers Union, being a member of a coworking community like Cowork Frederick gives freelancers access to a wealth of resources. Cowork Frederick has 40 members with a wide variety of backgrounds and experiences and who work in a wide variety of industries. You can't help but learn something just be being around them. Among our members are small business attorney's like Matthew Johnston, social media marketing experts like Kimba Green, website developers like Derrick Miller, and so many others. It's not hard to find someone right here in the Cowork Frederick community to team up with on a project or to lend a hand. For those do their freelancing at home alone, coworking also offers the option to get out of the house to be around others who face similar challenges and celebrate similar wins.